Discussion in 'iPhone and iPad Games' started by greyp, Feb 11, 2015. I've been working on a game called Eyez for a few years. It was my MFA thesis project at the Interactive Media Division of the University of Southern California. 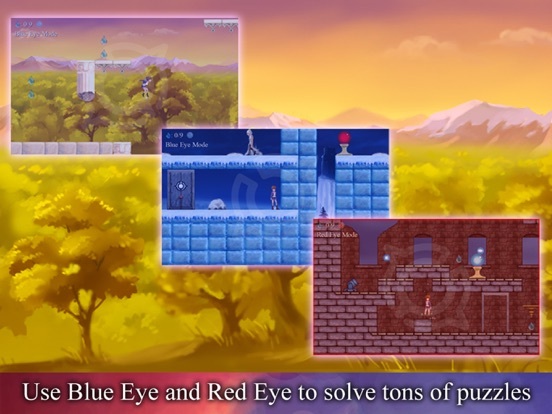 Eyez is a puzzle platformer that plays with the idea of "screen space". 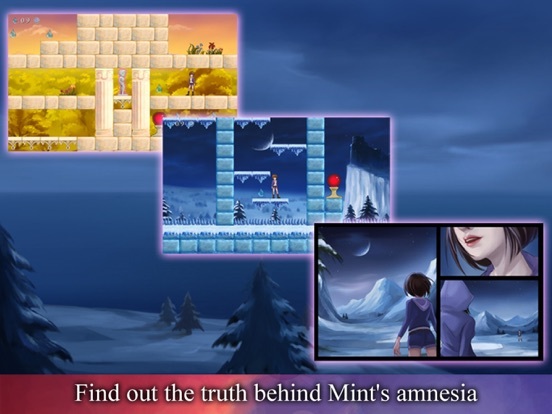 In Eyez the protagonist Mint has two abilities: the Blue Eye that lets you wrap the screen space, and the Red Eye that separates the screen space from the off-screen space. With these two unique mechanics there come a lot of interesting gameplay possibilities. 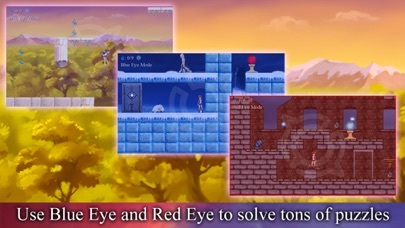 Eyez was originally released on the Windows Phone Store in June 2013. The WP version of Eyez has been well received by many users from all over the world, and has been featured many times by Microsoft on the Windows Phone Store. I just ported it to iOS in late January this year. I have not downloaded it yet. No storage left. 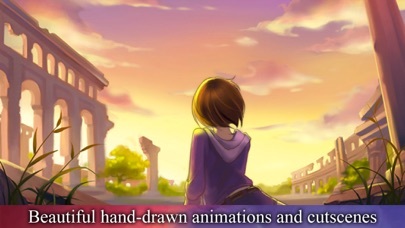 This is such an interesting game mechanic, it's completely genius if it works as well as I hope. Thanks for your reply and encouragement! The game package might be a little too large, but I believe its gameplay experience is one of a kind. Please give it a try if you can squeeze out some storage on your phone! Is this free with an IAP to unlock levels or does it have ads (perhaps with an IAP to disable them)? I guess I'm just trying to ask: Free? What's the catch? It is free to download and you can play through the first 6 levels. 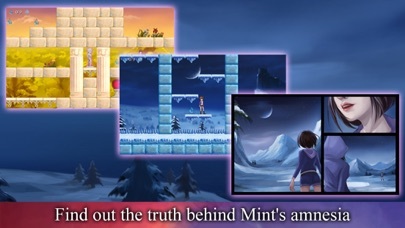 After that an IAP is required to unlock the full version so you can enjoy the rest of the game. I guess it makes more sense to let people try out the game before they decide whether or not to pay for it. BTW on iOS7 the game will crash on the store screen if you try to unlock the full version. This bug has been fixed in the new update, which hopefully will be available within the next few days. Gotta try this one out. Hope more people can discover and enjoy this game! I checked this out and I like the graphics and the concept a lot, but the controls aren't working well for me. 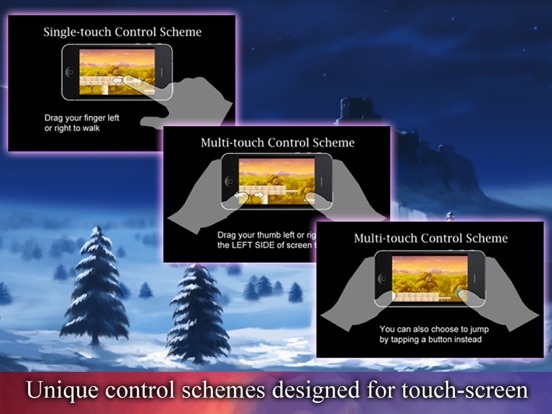 I use the standard multitouch controls. Jump is supposed to be "press on button right", and that often doesn't do anything. If I doubletap it usually works, but sometimes not, and doubletapping to jump is awkward. The jump also often doesn't work if I'm moving in a direction at the same time. But sometimes it all works fine, so it's a bit strange. I'm on an iPad Mini 2. I don't know if it's supposed to work this way or if it's a bug, but for me this is not working. I would still recommend people to check it out for themselves because it is a unique game and I can see how future levels could get really interesting. Maybe my control issues are unique to my device, or maybe I'm doing it wrong. Hi lena what is the iOS version number of your ipad mini 2? I had a friend test the game on his iPad mini 2 with iOS 8.1.2 and he didn't notice any issue on the controls side. I wonder if there is any chance that you record a short video of the issue and send it to me at TheEyezGame@gmail.com? I'll try my best to deliver a fix asap... Thanks very much in advance! I'm on the latest iOS but I don't think that that's the issue. I think I have found the main problem for me: you need to press the jump button very quickly, otherwise I guess it thinks you want to move the button. In most games, keeping a jump button pressed longer means jumping further, and even if they don't long pressing normally doesn't hurt, so I'm completely used to that now. Also, I think that jumping from ledges you have to start the jump a bit before I would do that, or you just fall. The controls seem to be a bit unforgiving there. Do you need the movable jump button? I am a big fan of movable controls , but if there's only one button on the right, I think you could also just make the hitbox really big so that it doesn't really matter where the button is located. MOS Speedrun has a good movable button config that lets you change the buttons in the settings, not during gameplay. Something like that would be good if you do want to keep the moveable controls. I'll see if I get any further now that I at least understand how the controls are supposed to work. 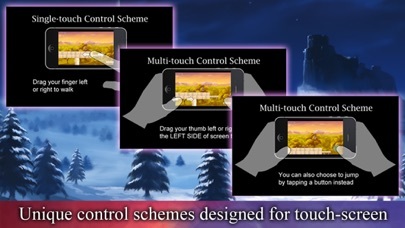 Yes that button has to be movable, because in later levels you need to tap on certain objects which the button might overlap... I'll take a look at MOS Speedrun and see if there is any improvement I can make by myself. Thanks so much for your feedback! I've only played the first five levels so far, but I really love the concept and graphics! 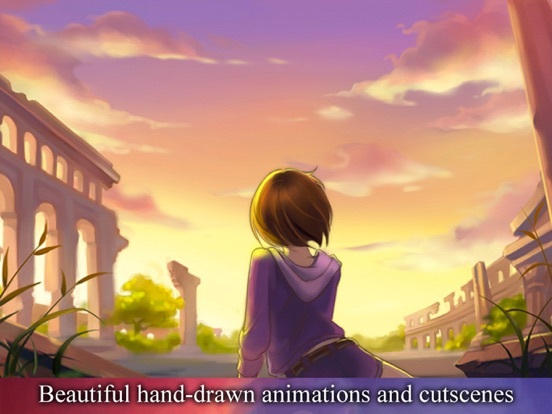 I will definitely be considering buying the full version (haven't reached the end of lite version yet), but I must agree that the controls are a little awkward. It would probably be enough if you only switch to "change control mode" after a very long press. I don't think most people want to change the controls all that often, so it's not a problem to have to press for a few seconds before they become movable. I'm still really liking the game itself. Looking forward to playing more.